Welcome to Silva Built Construction, Inc.
From the Ground Up! Silva Built Construction, Inc. brings a new standard of excellence and excitement to your construction needs in the New England Area. When choosing our company your individual and business needs will be our first and foremost concern. While tastes and lifestyles change with time, Silva Built Construction works hard to give the utmost attention to innovative designs, quality construction and meticulous details. We understand that each client has a unique set of desires and concerns during this process. We take care to address the specific needs of each client, to the best of our abilities, ensuring a more comfortable working relationship and to provide you with the finest possible customer service. With 15 years in the construction field, we are sure to meet all your needs. "Silva from Silva Built Construction, Inc. is a very knowledgeable and respectful contractor who is sensitive to the needs of any homeowner. His work was not only top-quality, but also timely and efficient. I would recommend Silva Built Construction, Inc. to any homeowner." "Thanks Roger and Silva Built for doing such an incredible job on our home!" 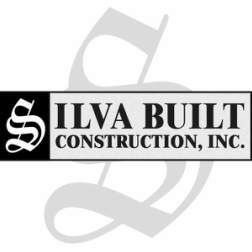 "Highly recommend Silva Built Construction, owner Roger Silva, for any work to be done on your home. Respectful, courteous and hard working who takes pride in his business. Done Once and Done Right." "I just got off the phone with my Mom and I can hear the excitement in her voice. She is so happy with the work you are doing and in the great care and thoughtfulness you have showed her. This means a great deal to me, so I want to thank you for that. My Mom has waited a very long time to have a home she is proud of and you are helping us make that happen. My folks are very important to me... so I really appreciate you making this experience such a positive one for them. I had a great feeling about you from the beginning...thanks for proving me right"
"Roger did a new roof for one of my friends from work and she and her husband are just thrilled with the work & Roger's work ethic and will definitely hire him for future work." We'd love your input! Tell us about your experience with Silva Built - Click Here. We now offer financing for your home improvement projects!